Description: Wasaga Beach welcomed ROCK "N" RAY MICHAELS as he brought his traveling Road Show to THE BEACH BAR and The Main Street Market on Historic Main Street at our World Famous Main Beach on Saturday August 20, 2016. Here is the conversation as Ray discusses the fun from Saturday with Joe Bickerstaff of The Beach BOOSTER Media Group. 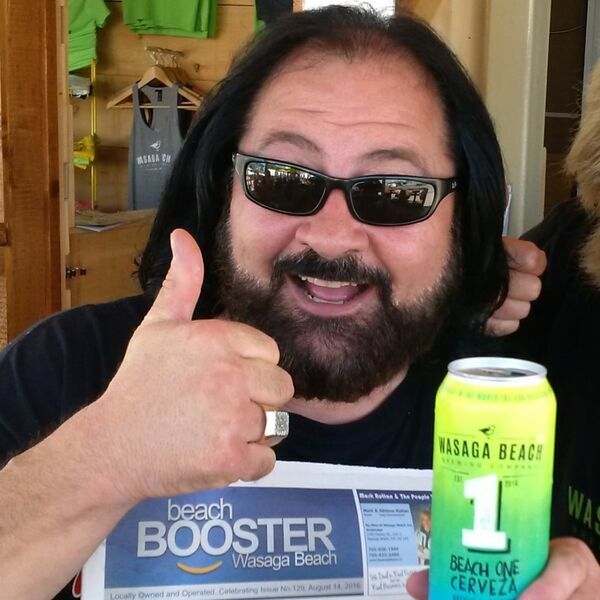 Beach BOOSTER Radio joins "The Classic Hits Radio Network" with Rock "N" Ray LIVE every weekday between 3 - 6 and every Saturday between 10am - 2pm. The LIVE broadcast from Wasaga Beach was sponsored by The Beach BOOSTER Media Group & The Wasaga Beach Brewing Company, with the valued support of Boston Pizza in Wasaga Beach. Wasaga Beach welcomed ROCK "N" RAY MICHAELS as he brought his traveling Road Show to THE BEACH BAR and The Main Street Market on Historic Main Street at our World Famous Main Beach on Saturday August 20, 2016. Here is the conversation as Ray discusses the fun from Saturday with Joe Bickerstaff of The Beach BOOSTER Media Group. Beach BOOSTER Radio joins "The Classic Hits Radio Network" with Rock "N" Ray LIVE every weekday between 3 - 6 and every Saturday between 10am - 2pm. The LIVE broadcast from Wasaga Beach was sponsored by The Beach BOOSTER Media Group & The Wasaga Beach Brewing Company, with the valued support of Boston Pizza in Wasaga Beach.